And none are more equal than others. 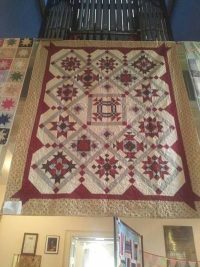 The QuiltFest exhibition was amazing. Thanks to everyone who brought in their wonderful work. 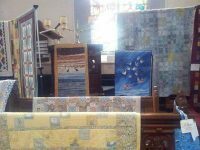 I loved seeing the variety of design and colour made by both new and experienced quilters. 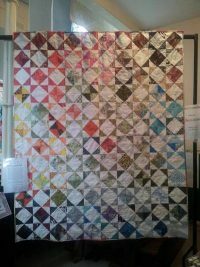 So many people were inspired and maybe some will begin or return to patchwork themselves. 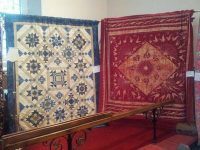 Thank you also to all our visitors, we hope you picked up a bargain during our sale and enjoyed the quilts. Since the last blog we have a new gorgeous granddaughter called Freya. She is a little treasure, she just eats and sleeps and we are mad about her. Mother and daughter are doing great. Caitriona is a natural mother. But we miss her in the shop. It means Sinead and I are having to get our heads around the finances – not our thing – but it’s a learning curve, and supposedly good for us. 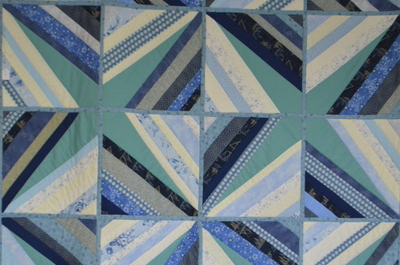 We miss Trina’s quilt making too as she really took to it quickly and is very good at it. She loves it as much as Sinead and I do. I am looking forward to 2 days away with three friends I haven’t met for some time. 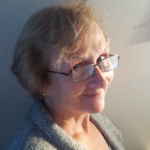 We were nursing students together in the dark ages and we now live in different countries. It will be great fun to catch up with the ‘girls’ again even though we are all grannies now. 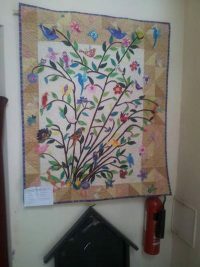 We have had many new visitors to the shop from around the country and two coaches of quilters from the US and Canada. We had fun discussing blocks, borders and explaining the difference between long and fat quarters. 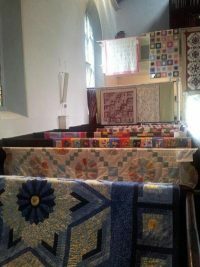 Quilters are lovely! Things have calmed down a little and we are trying to get designs ready for Christmas In July. It’s strange thinking of that in the middle of summer but time flies. It is no time at all since last Christmas! 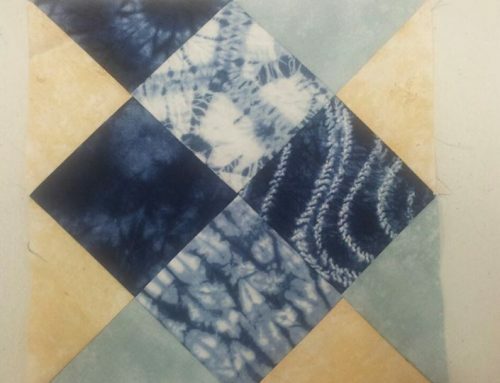 There are two designs in my head waiting to get out before I forget them. Do you ever get great ideas during the night and then in the morning realise they are rubbish? I get a ‘great’ idea and start to make it, then find it doesn’t work at all and I don’ t like it – all part of learning but very frustrating! The good thing about things not working is you tend to get a lot of scraps. 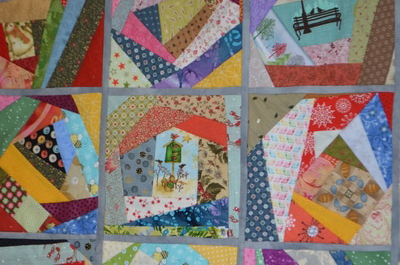 I love to use up as many scraps as possible. I hate to throw them out! 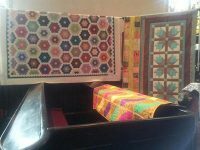 I often do scrappy quilts with all mad colours. 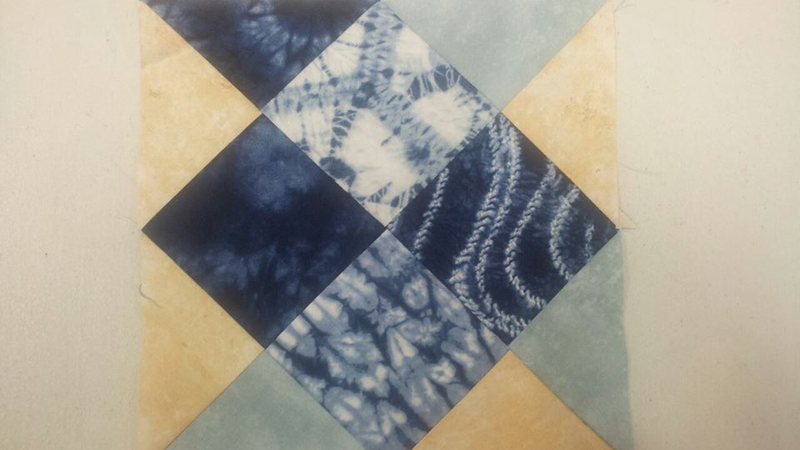 I love to do quilt as you go too as this can use up lots of odd shaped pieces in an easy way. 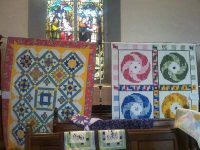 We are always telling people not to throw out their scraps and we are thinking of doing a workshop, maybe in August, where we will show people how to use their scraps, possibly using the quilt as you go method. 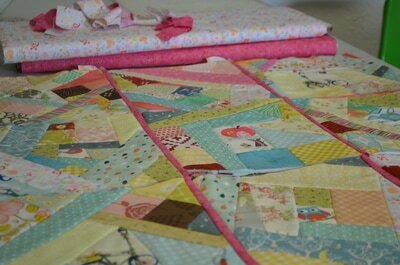 I have just started making a scrappy quilt/ throw/? and having a ball. No rules and no matching corners. Happy days.